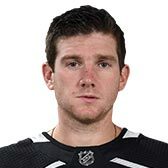 Jonathan Quick is 6' 1 and weighs 220 pounds. He is currently 33.3 years old. Participated in another on-ice workout today. Participated in on-ice workouts today.